This Wednesday’s Songwriter Showcase features a series of CO-WRITERS! 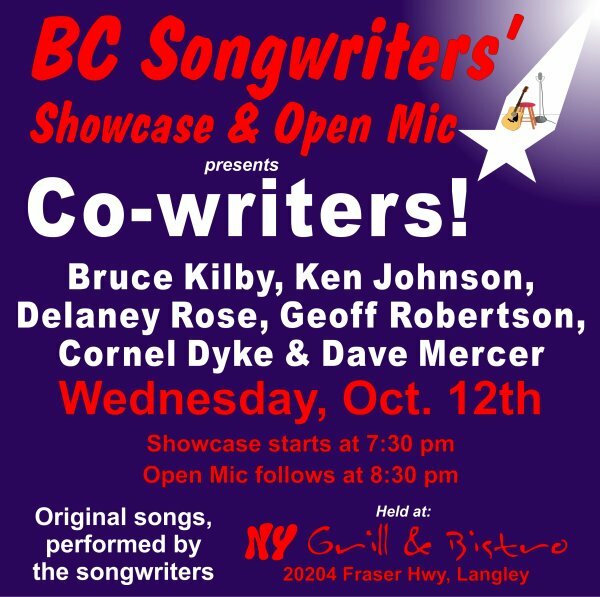 The performers are: Ken Johnson, Delaney Rose, Geoff Robertson, Cornel Dyke & Dave Mercer… who have all co-written songs with Bruce Kilby. The Showcase starts at 7:30 pm, and as always, Open Mic follows. 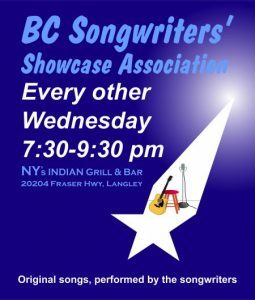 BC Songwriters’ Showcase & Open Mic are held at NY Grill & Bistro – 20204 Fraser Hwy, Langley.